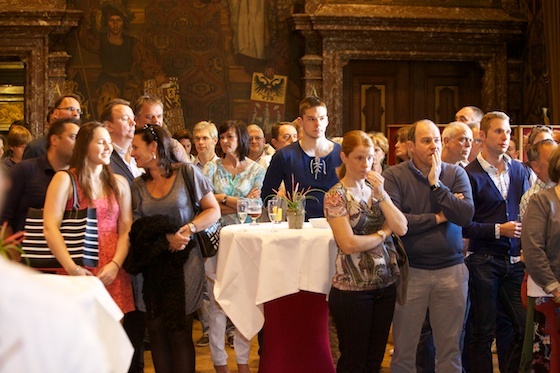 On Friday 16 May 2014, the Sports Laureates of the City of Antwerp were invited to ‘t Schoon Verdiep of the Antwerp city hall by Burgomaster Bart De Wever, Alderman of Sports Ludo Van Campenhout and Frans Van den Wyngaert (Sport Committee). 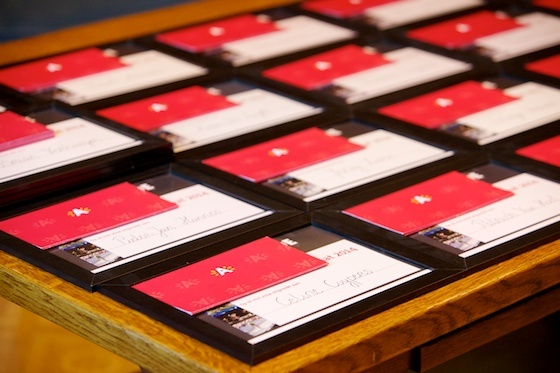 Some 30 people from ages 15 to 84 were present to receive an official charter honouring their national and international medals and titles won in 2013. 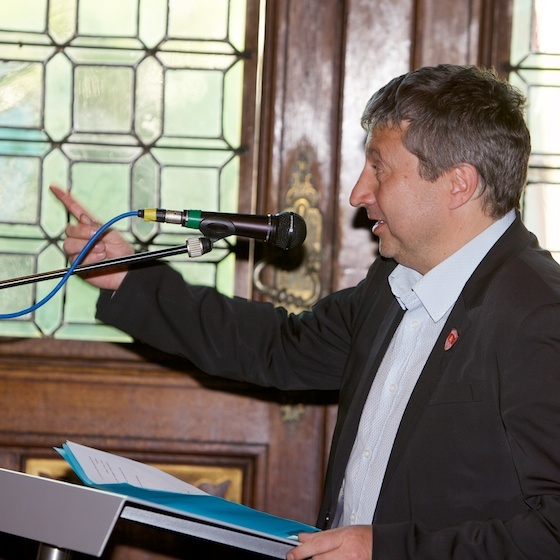 The Alderman of Sports emphasised the city’s intention to encourage sports on all levels: from recreational through competition to top-class sports. The less-known and non-Olympic sports however still lack substantial support. It is a pity that for climbing on high level there are no training facilities in Antwerp at all. 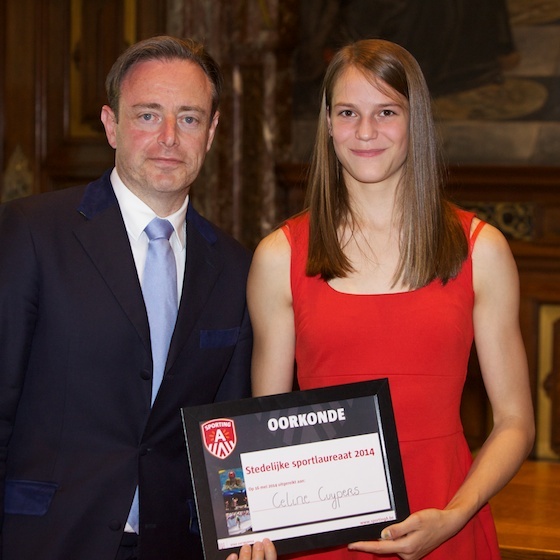 Celine was among the youngest to receive the charter. While we had a few drinks, we had an interesting talk with Roxane Taymans, the European judo champion of 2013 in the class -70 kg under 23 years of age. She also trains six days a week. 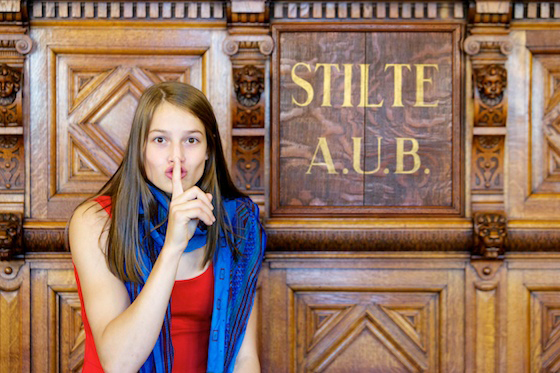 In between her busy training schedule, she attends university. 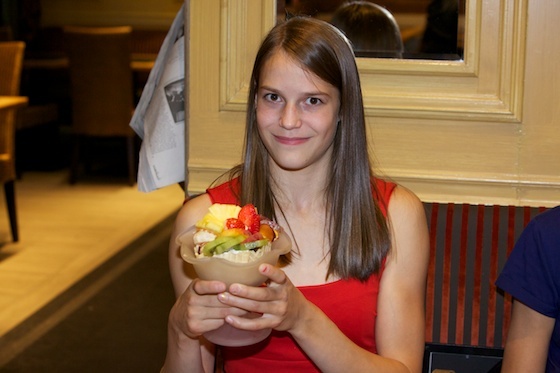 I am only 15 and for me the solution is home schooling to combine my well-filled training and competition calendar. 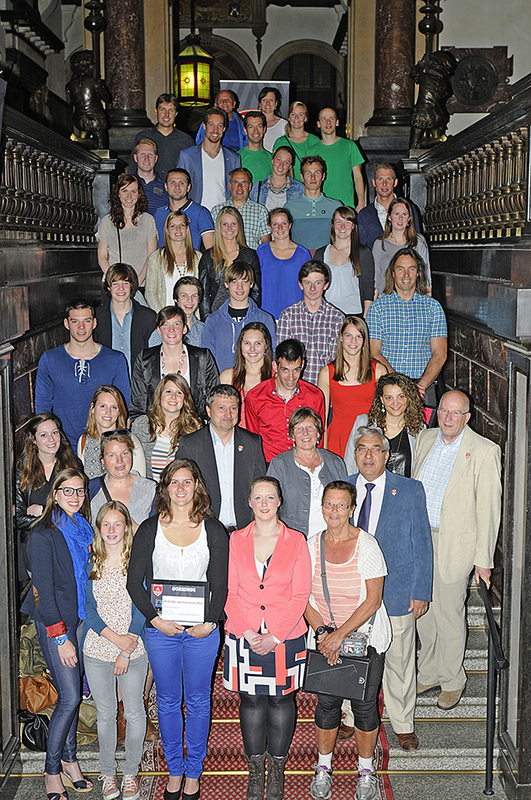 Many thanks to the city of Antwerp for honoring the top-class performances of the Antwerp athletes.